Physical characteristics: The horned screamer measures 34 to 37 inches (86 to 94 centimeters) long. Its body is greenish black with a white belly. A "horn" protrudes from its forehead. Geographic range: Found in the Amazonian regions of Venezuela, the Guianas, Colombia, Ecuador, Peru, Bolivia, and Brazil. Habitat: The horned screamer lives in wetlands of tropical forests such as lakes, swamps, and marshes. It is found at altitudes up to 3,300 feet (1,100 meters). Diet: Horned screamers eat aquatic vegetation. Behavior and reproduction: This bird has a distinctive set of calls that can be heard for miles. It swims or walks on vegetation while feeding, and likes to rest in shrubs and trees rather than on the ground. Screamers build floating nests of plants and vegetation. The female lays two eggs, which are incubated by both parents. Both parents also care for the young. Horned screamers and people: These birds are tamed and kept as pets. They are also hunted for their meat. 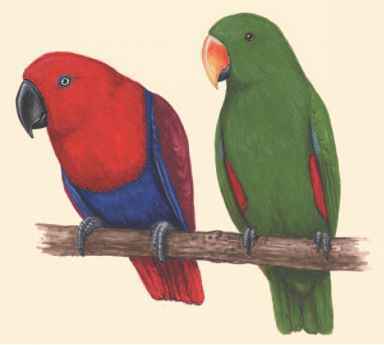 Bird, David M. The Bird Almanac: A Guide to Essential Facts and Figures of the World's Birds. Buffalo, NY: Firefly Books, 2004. Hilty, Steven L. Birds of Venezuela, 2nd ed. Princeton, NJ: Princeton University Press, 2003. Howard, L. "Anhimidae." Animal Diversity Web. http://animaldiversity. ummz.umich.edu/site/accounts/information/Anhimidae.html (accessed on June 1, 2004).